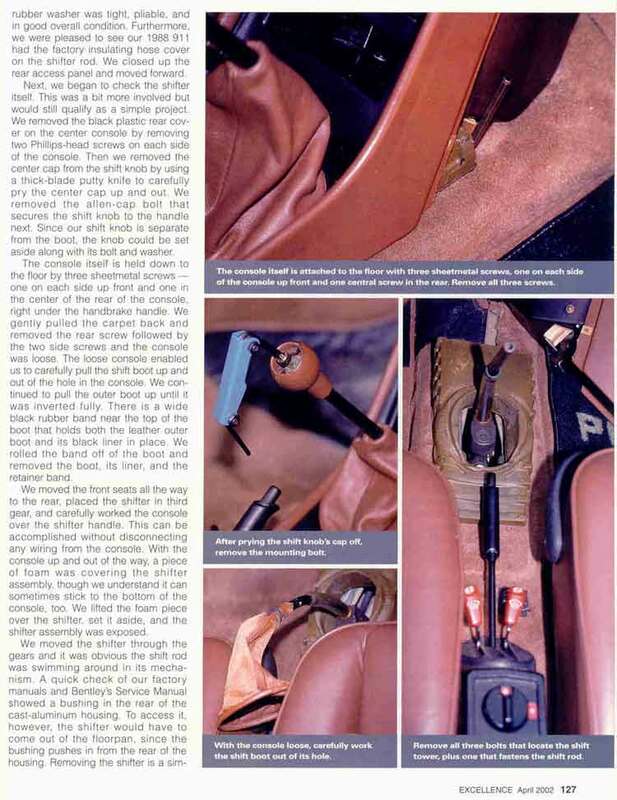 I understand that Porsche issued some technical bulletins to cure the vibration or shifter rattle of the early G50 cars. This rattle happens when starting out in first gear with the RPMs rather low. Not to the point where you lug the engine, but at lower RPMs. Does anyone know about these technical bullitins and where to find them? 1987 911 Carrera. 03/87 production date. I have an interest in this too. My 89 had a rattle that I was told was just typical. After I replaced the clutch, presure plate,flywheel t/o bearing,Did a g50 update,Guess what! You guessed it , No more rattle. 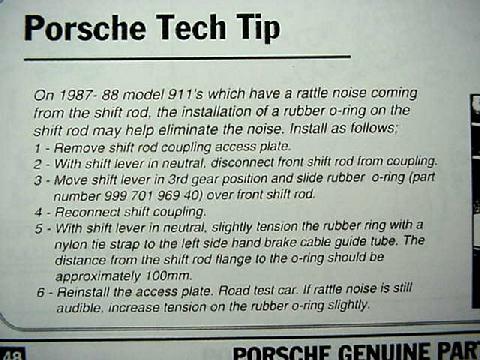 I think this was a series of 4 or 5 technical servive updates that Porsche issued. They consisted of O-rings, wire ties, and rubber sleeves for the shift rods and supports. 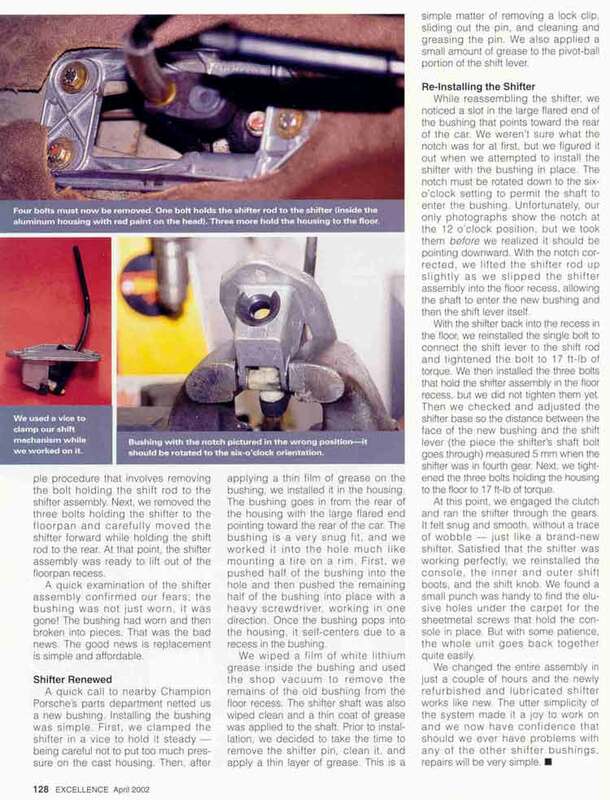 I just can't find the info on this to see how it actually was applied. Above from Excellence. Below from Tech article. OK guys... This Excellence article is just what I am looking at. Has anybody done this ?? 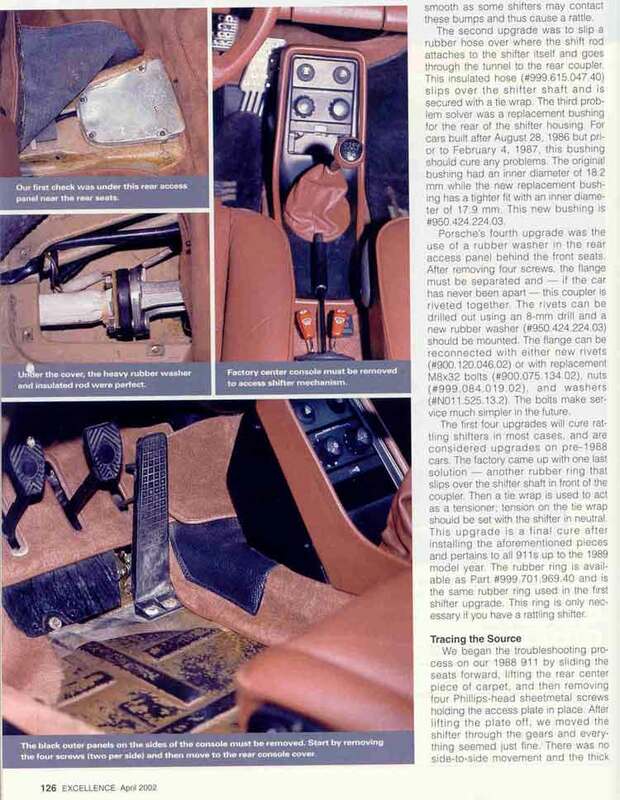 Where can I get these Porsche parts ? My 89 has rattle at idle. Clutch, pressure plate, flywheel, T/O bearing were all replaced in January. 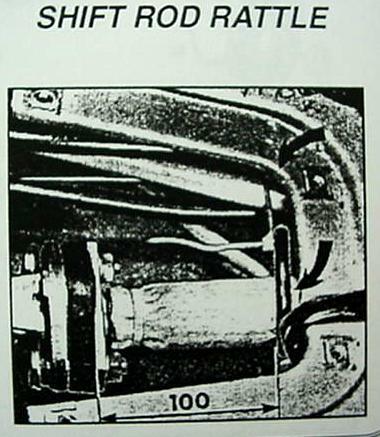 Rattle goes away when clutch pedal is depressed. Rattle is reduced (but does not go away completely) when the shifter is in neutral but moved to either left of right side. Since mine is an 89, is it likely that the problems are the same as the ones in the article? I plan to investigate more this weekend, but I'd like a starting point if possible. I got all the parts from the dealer. I can post the part #s later this afternoon if needed. The cost was not high at all. did this cure the problem? How difficult a job...how long did it take ? Yes, It cured my rattle completely. It was not difficult, even I completed it in about an hour and I am not yet that familiar with a 911. The insulated rod had already been completed by the previous owner so I did not need to complete that task, but that looks like it could be done in 20-30 minutes when you have the rear shift rod apart. 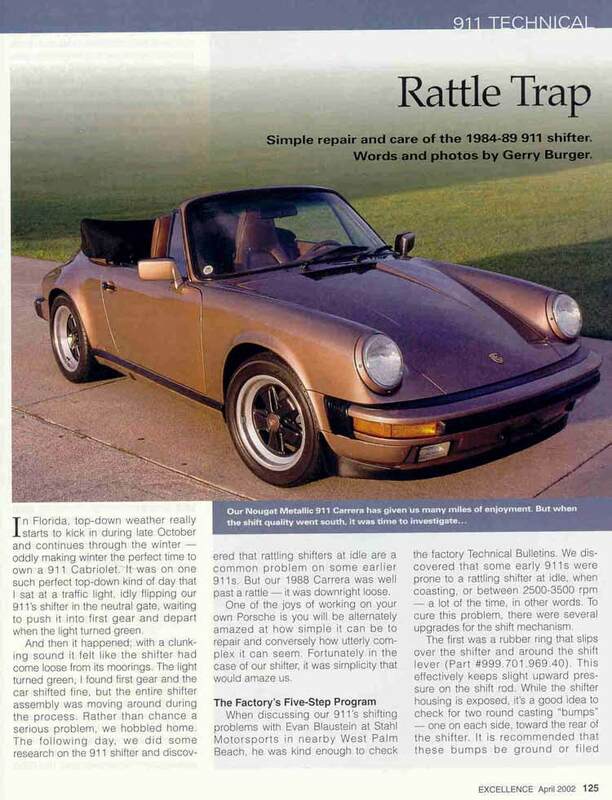 It should work if it is an early 89 not the Carrera4 version. It was a very good excellence article.